The Nintendo DS and its 8 year legacy is home to some of the most innovative and excellent gaming gems. 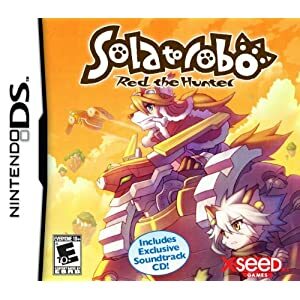 One of those gems was Solatorobo: Red the Hunter which was released late last year and comes highly recommended to any fan of great action adventure games. The game which was created by CyberConnect2 introduced players to a very unique and compelling world painted with an art style reminiscent of a Miyazaki film. CyberConnect2 president Hiroshi Matsuyama has recently confirmed that a follow-up title is in the works. Unfortunately, details are scarce aside from the confirmation leaving many to wonder what system will receive the new game. Personally, my vote is for the 3DS as the hardware is well suited to the many ambitious directions the new title could utilize. Until more details surface, do yourself a favor and experience the excellent DS original.